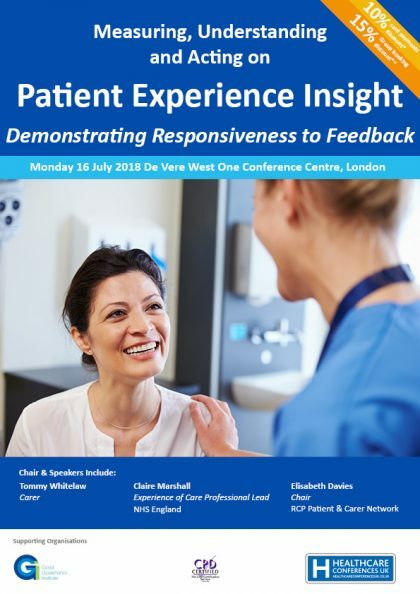 CoMetrica will be exhibiting and speaking at the Patient Experience Insight Summit in London on the 16th July 2018. This conference will focus on measuring, understanding and acting on patient experience insight, and demonstrating responsiveness to that insight to improve care. Through national updates and case study presentations the conference will support you to measure, monitor and improve patient experience in your service, and demonstrate responsiveness to the feedback you receive.